The Summer Collection from Wet n Wild is curated and inspired by the feathers of the Allen's and Costa hummingbirds. This collection is vibrant and colorful, perfect for summer. A portion of the proceeds are donated to the Los Angeles Audubon Society, which is a non-profit organization whose mission is to protect birds and their habitats. These funds will benefit a habitat restoration project for the Allen's Hummingbird, an endangered California native. 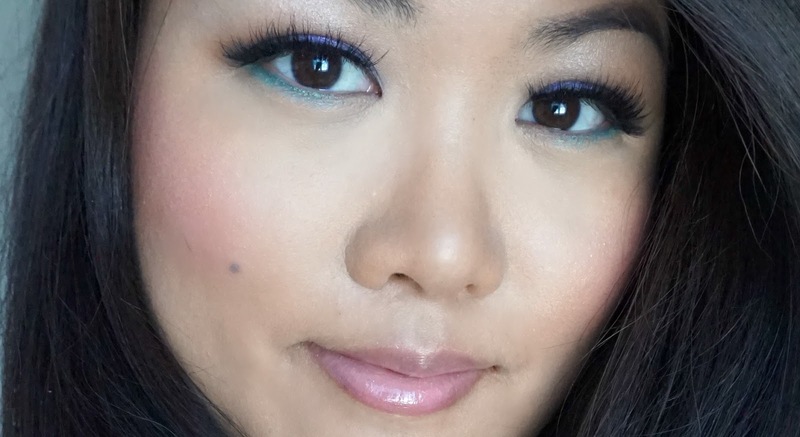 The below look is created with my favorite palette of the three, Hasta La Costa Baby, which is the purple and teal one. - The liners, we have: Gilded Wings, Winged n' Wild, You Are My Wingman. All of the products are beautifully pigmented, and I really have nothing negative to say about it - as you can see from the lip swatches below with one swipe you get a very generous delivery of color. 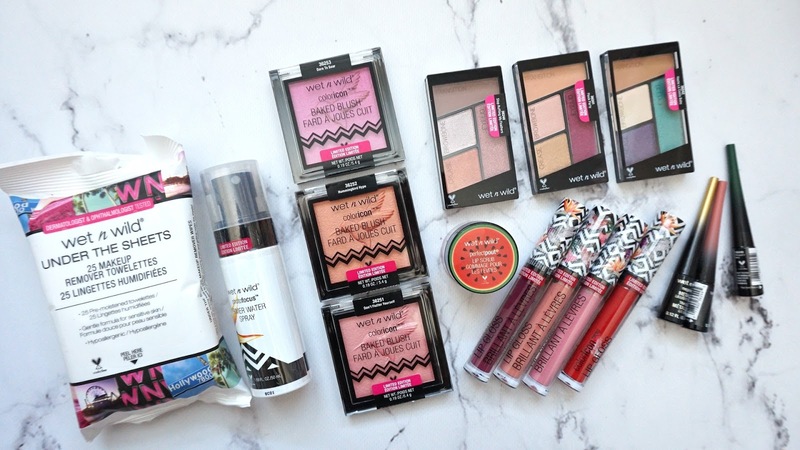 The shadows are gorgeous and hard to believe are drugstore formulations. The mattes are creamy and finely milled and the metallics as you can see from the picture above packs a punch, especially when layered on top of a cream base. On the lid I preferred putting it on a cream base, but my arm swatches were done with no base or primer at all. The only one product I would have to comment on is the spray - it is a bit aggressive if its too close to the face, so you have to spray it from a bit farther than usual to get the mist vs. droplets. 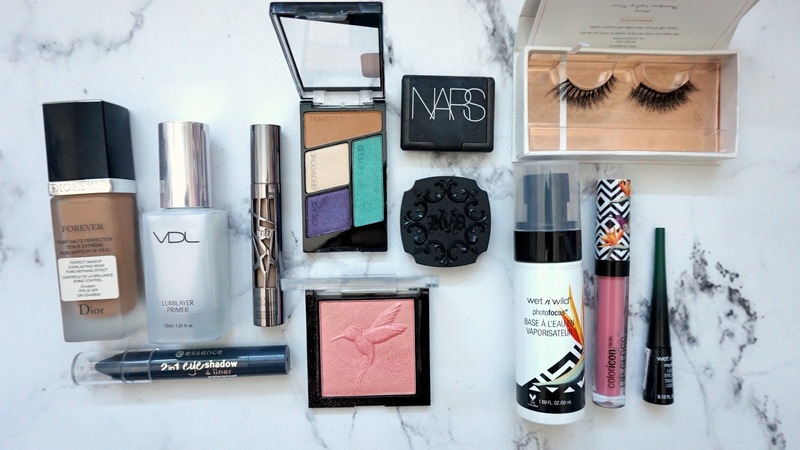 Products below are what was used to create my featured look in this blog post.